Originally a fishing village and a bustling seaport during the whaling era, the Vineyard Haven of today is home to charming shops, popular restaurants and a beautiful harbor, often filled with private yachts. The town is nestled in a cove between two points of land, East Chop and West Chop. 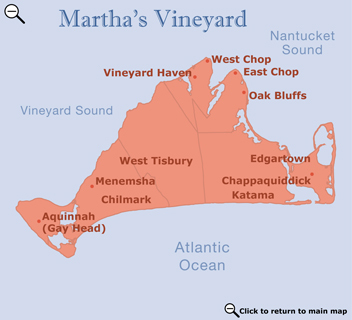 As the main port of entry to Martha's Vineyard, Vineyard Haven is the landing spot for the car ferry from Woods Hole on Cape Cod and the Fast Ferry from New Bedford. Many of the captains' homes built on a hill overlooking the harbor still stand today. If you go to the town beach at Owen Park, you can watch the ferries go by as they shuttle passengers to and from the mainland. The town band plays at Owen Park every other Sunday evening in the summer. Favorite spots for photographers include Tashmoo Lake overlook on State Road, West Chop Lighthouse, and the area around the drawbridge on Beach Road. 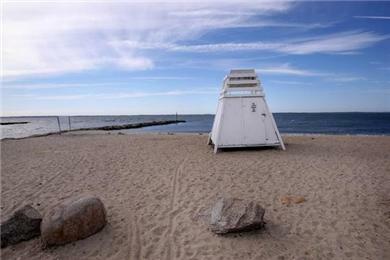 Beaches include Owen Park Beach on Vineyard Haven Harbor and Lake Tashmoo Town Beach on Vineyard Sound. Service from Woods Hole, Hyannis, Nantucket and New Bedford daily year-round. Steamship Authority boats dock in the town of Vineyard Haven in the winter, and both Vineyard Haven and Oak Bluffs in the summer. This is the only line that accommodates cars and trucks. Seasonal daily walk-on passenger-only service from Falmouth to Oak Bluffs. Year-round high-speed service from Hyannis to Oak Bluffs in 50 minutes. Traditional service from Hyannis and Nantucket to Oak Bluffs seasonally. Passengers only. Year round daily passenger-only express service from New Bedford to Martha's Vineyard. One hour trip to Oak Bluffs in summer / Vineyard Haven in winter. New York and New Jersey transportation added in the summer. Reservations recommended. Seasonal fast service from Quonset Point, Rhode Island, to Oak Bluffs aboard a 400 passenger high-speed catamaran. Ferry is 15 min. away from the Providence (PVD) Airport or 20 min. from Amtrak (KIN). Offers first-class amenities, advance reservations & dockside parking. May-Oct. with 2 to 3 round-trips daily. Need a rental car? See A-A Auto Rentals and tell them we sent you!